We called it in our 2019 Nursery Trends—pampered playrooms! 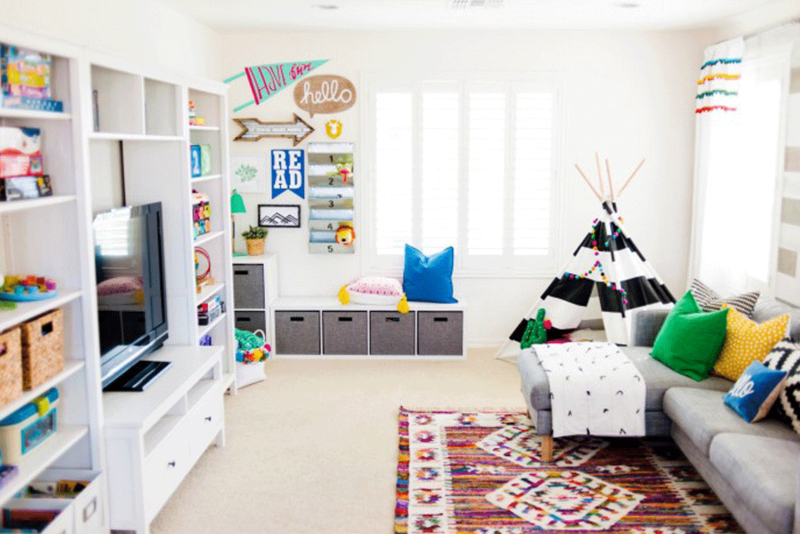 Yes, playrooms are evolving from a messy room to stash your kids toys to rooms that inspire creativity and also make a big design statement. We’ve gathered up all the best playroom spaces that we’ve shared over the years to inspire you to create a space for your kids to play and make. After all, the most important work of childhood is play! See the rest of our 2019 Nursery Trends for more ideas for your children’s spaces.